If your organization has received a Minnesota Historical & Cultural Heritage Grant, be sure to check the grants portal for a list of your conditions, milestones, and final reports. The portal will indicate what they are for (taken directly from your grant agreement) and when they are due. Organizations with overdue reports are not eligible to apply for other MNHS grant programs. Questions? Contact Melinda Hutchinson. Funds enabled an architectural assessment of a roof replacement project for the Great Northern Depot, listed in the National Register of Historic Places and currently in use as the Mille Lacs County Historical Society. KSTP covers the MN Bicycle Museum opening while MNHS staff take their family to visit. Jessica Potter of the Blue Earth County Historical Society on TV talks about the facility expansion. A home that was a flashpoint for racial tensions in Minneapolis goes to the National Register of Historic Places. American Aviation Heritage Foundation in Blaine is restoring a BT-13. Minnesota Historical Society is beginning the planning for a national traveling exhibition on the Great War Era. Do Museums Need Disaster Plans for People? State Historical Society of North Dakota seeks Director. Send letter of application, resume, state standard application form (SFN#10950) and references to: Human Resources Director, State Historical Society of North Dakota, 612 East Boulevard Avenue, Bismarck, ND 58505-0830. Deadline: August 15, 2014. Meeker County Historical Society, Litchfield MN, seeks a qualified candidate for the position of Director. Position open until filled. Oregon Historical Society, Portland OR, seeks Museum Director. McLaughlin Garden & Homestead, South Paris ME, seeks Executive Director. Washington University in St. Louis, seeks a Director of Special Collections. Position open until filled. Reference job # 28354. Corning of Museum of Glass, Corning NY, is hiring a Lead Web/Interactive Developer in its newly formed Digital Media Group. Rock County Historical Society, Janesville WI, is currently looking for a part-time interpreter to start immediately. They will be presenting a variety of historic house tours at the Lincoln-Tallman House, using both first- and third-person presentations. Old Sturbridge Village, Sturbridge MA, seeks curator whose overall responsibility is for the care, presentation, and interpretation of the organization's collection. Washington County Historical Society, Stillwater MN, will be at the upcoming Washington County Fair July 30-August 3, 2014. This year the Historical Society will be bringing three vintage bicycles out of their collection to show those attending the fair. Call 651-439-5956 for more information. Northfield Historical Society and Carleton College, Northfield MN, team up to host the First Jesse James Film Festival starting July 31, 2014 in the Weitz Center for Creativity Cinema. Free and open to the public (donations appreciated). Carlton County Historical Society, Cloquet MN, is displaying an award winning, student produced exhibit entry, "The Little Rock Nine" in the 2014 National History Day competition at its museum this summer. Call 218-879-1938 for more information. Minnesota Discovery Center, Chisholm MN, invites you to Family Discovery Days, Friday August 1, 2014 10 a.m. to 3 p.m. Kids connect with nature, get creative, become engineers and have fun with games from all over the world. Contact them for more information. Minnesota Military Museum, Little Falls MN, hosts a special Vietnam traveling exhibit, Monday August 4, 2014 from 10 a.m. to 7 p.m. The exhibit is sponsored by the Mobile Riverine Force Association. Contact them for more information. Join the Minnesota Discovery Center, Chisholm MN, Wednesday August 6, 2014, 6 p.m. to 9 p.m., for a viewing of the documentary film, 'The Real "Moonlight" Graham: A Life Well Lived' produced and directed by Mark Flaherty. Free admission. Sherburne History Center Book Club, Becker MN, will meet on Thursday August 7, 2014, 6:30 p.m. to discuss Until They Bring the Streetcars Back by Stanley Gordon West. Call 763-261-4433 or 763-262-4433 for more information. Waseca County Historical Society, Waseca MN, invites you to attend the Herter's Swap Meet, Craft Beer-Tasting, or the Rock & Roll Revue - all on August 23, 2014. $50 gets you in to all events plus the museum's exhibit preview, "Collecting Herter's" on Friday, August 22, 2014. Visit their web site for tickets and more information. Nicollet County Historical Society, St Peter MN, invites families to join them at Children's Games and Craft Day at Fort Ridgely, August 30, 2014 12 p.m. – 4 p.m. Regular site admission, MNHS & NCHS members free. Hastings Prescott Area Arts Council wants residents within a 50-mile radius of Hastings MN, and Prescott WI, take a survey that relates to housing for artists and their friends. The deadline for completing the survey is Tuesday August 5, 2014. Museum Computer Network is offering the free online workshop via Google Hangout, “The Tangled Web: Organizing and Storing your Files,” Tuesday September 16, 2014, 1-2 p.m. CT. The IRS is offering a one-day workshop for small and medium-sized 501(c)(3) organizations at the University of Wisconsin - Eau Claire, October 29-30, 2014. This introductory workshop is designed for organization administrators, volunteers who are responsible for tax compliance, the faculty and students of its academic hosts, and nonprofit practitioners. Minnesota Council of Nonprofits announces their 2014 Annual Conference will be held November 6-7, 2014, Saint Paul RiverCentre. Register now and save. Accepting books now through August 9, 2014 for a Fundraising Sale at the Hay Lake School Museum, Scandia MN. Donations can be dropped off at the museum on Saturdays and Sundays during the museum hours of 1-4 p.m. as well as at the Warden’s House, Stillwater MN, Thursdays through Sundays noon to 5 p.m. Contact Dustyn at 651-433-4014 to coordinate donations if necessary. August 7, 2014, 3 - 4 p.m. Free, registration required. The Minnesota Historical Society is pleased to announce the second round of Legacy Research Fellowships. Applications are due October 1, 2014, with Fellowship research to begin January 1, 2015. Awards of $1,000 or $5,000 are available to successful applicants.For more information, visit the Legacy Research Fellowships website. With the successful debut of the new Cycling Museum of Minnesota (CMM) last Thursday, July 24, in Minneapolis, here is a good reminder about putting yourself in a good place to be successful. CMM began with an entrepreneur and a collector. While one had business savvy and the other had amazing collections, neither had cultural heritage experience. Still, both through their usual conduct were in the habit of doing things very well. 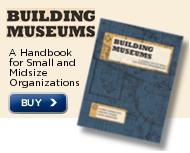 To put themselves in a good place to be successful, the two sought advice from the MNHS Local History Services Office, through which they attracted museum professionals with planning, management, and programmatic experience to ensure this new museum would match their commitment to excellence. On July 24 attendees of the debut heard what happened as a result of the overall commitment to excellence. One of the volunteers that had come to help fabricate the museum exhibits casually asked what CMM needed in terms of cash. The leadership was candid about upcoming expenses, and the volunteer generously wrote a check for the whole amount. The man told the leadership he was impressed with the work, and that his recently deceased wife had left instruction to support bicycling projects. CMM's work seemed a worthy cause. When standards and best practices are followed, the end product will stand out for its quality. Interested in learning more about standards and best practices? Consider the Standards and Excellence Program for History Organizations (StEPs) from the American Association for State and Local History. And yes, there is a grant for StEPs! Saint John's Abbey Church by Victoria M. Young.